We’ve added a few additional colours to the patina acid range! 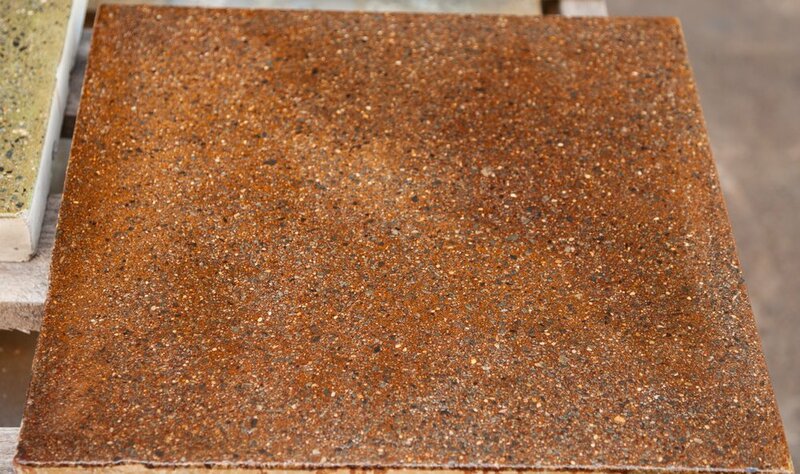 All stains were applied to concrete sample tiles, that have been ground + lightly polished, stained and then finished with our concrete sealer. From top left to bottom right - Black Berry, Bronze Green, Earth, Medium Brown, Walnut & Weathered Sandstone. As with all patina acid stain, it comes back to what surface your starting with as to how the Patina Acid Stain will react with your substrate. Come down and have a look at them, as photos can only do so much justice! Older PostBlast From The Past!